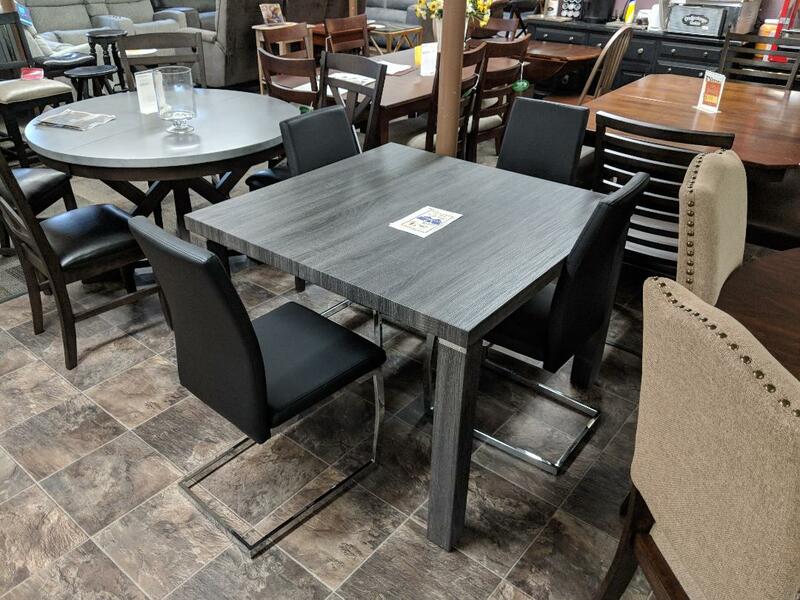 Title: Cramco Sarah (g5655) dining table and 4 chairs 50% OFF!!! Outfit your dining room space with this Sarah Dining Room Collection by Cramco. The Table features charcoal woodgrain top and legs with chrome trim. You will fall in love with this contemporary style Sarah Dining Room Collection.